It’s clear that this Christmas we will have everything under control. No more rushing around for last minute gifts! We are under the spell of ‘foodie gifting’ – as we indulge in our culinary proficiencies to make our own sparkling jams and jellies to use as Christmas gifts, as these types of gifts are always appreciated. This year we made a marvellous golden strawberry jam and red fruit mince by adding Gold Shimmer dust to the recipe. The Gold Shimmer is completely edible and will not dissolve, giving sparkling golden pizazz to our foodie gifts this season. This recipe created a wonderfully fresh tasting strawberry jam! 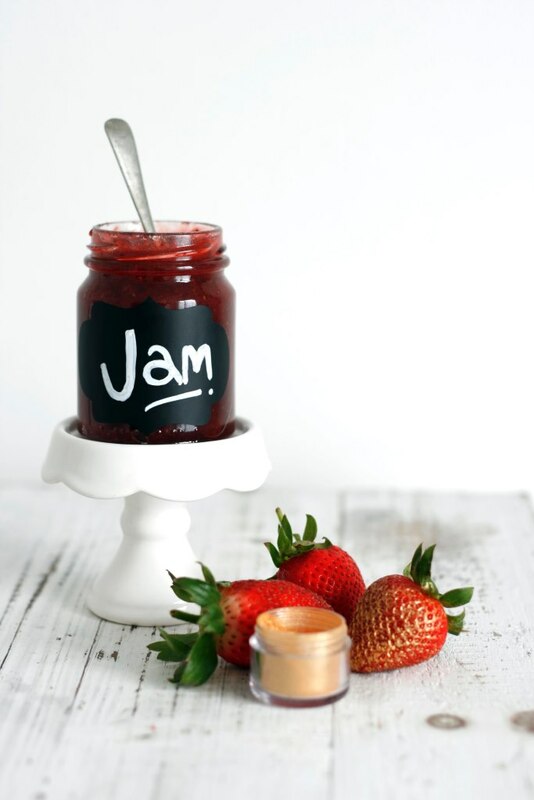 Our simple strawberry jam recipe is prepared by first coating the fresh strawberries in the sugar; leave uncovered in the fridge for up to 12 hours or overnight. Add the lemon juice and heat the strawberry mixture in a pot on the stovetop until the sugar is completely dissolved. Bring the mixture to a boil for 4 minutes, and then add the pectin. Boil for a further 1-5 minutes or until the jam coats the back of a chilled spoon (a jammy texture that sticks on the back of a cold spoon vs. an under-cooked syrup that runs off the cold spoon). Take off the heat and pour directly into sterile jam jars. Seal the lid whilst the jam is still hot. 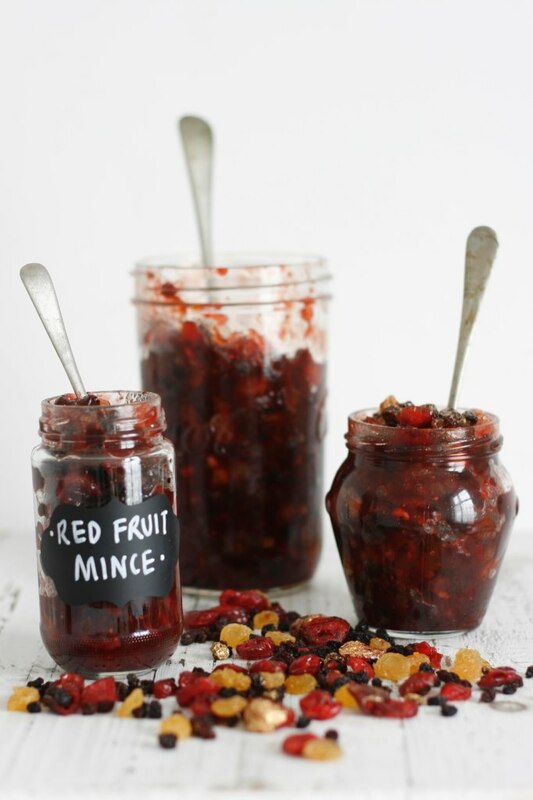 We created our own red fruit mince by combining red currant jelly, brandy and fruit juice with all the good ‘bits’ that go into fruit mince. 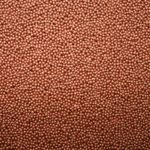 This recipe is not an instant ready-to-use mince; it should be made up to 1 month advance, and left for the flavours to develop and deepen in the jar. Mix the liquid ingredients and dissolve the jelly in the liquid. Mix in the dried fruits, zests and spices. Transfer to an airtight container. Stir the mixture again at least 12 hours later (add extra liquid if the mixture is too dry – the fruit will absorb the liquid over the next month). 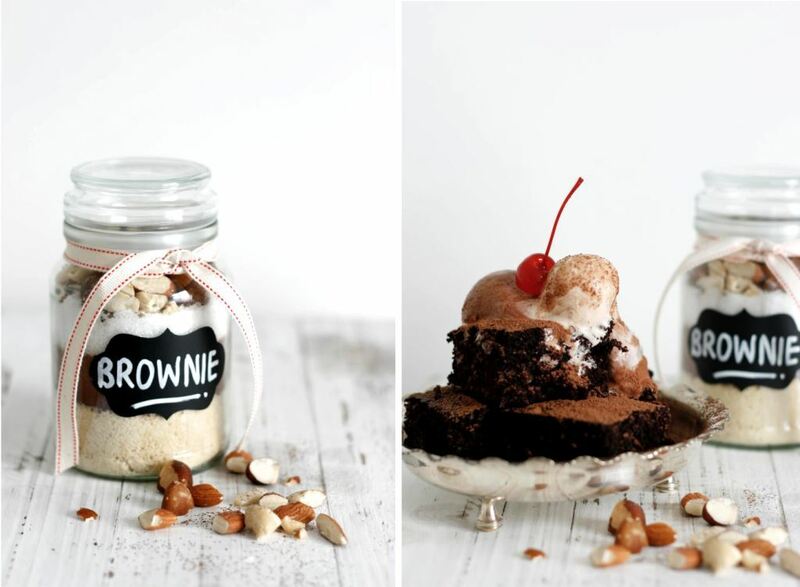 Place in sterile dry jars for 4 weeks to allow flavours to develop, before using in your favourite recipe. Mixture makes approx. 900g / 875 ml. 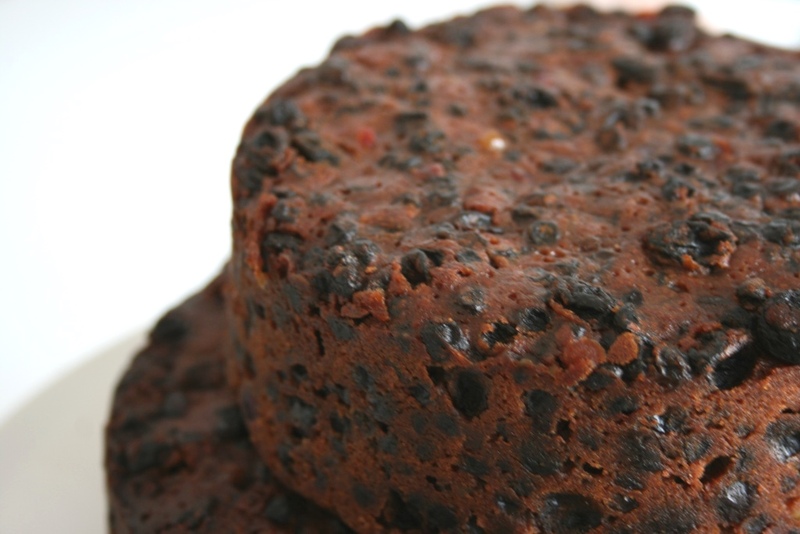 This should be a great foodie gift for those who love fruit cake; or use the mince as a topping for ice-cream, or baked in fruit mince strudel, in mince pies or in Christmas muffins. 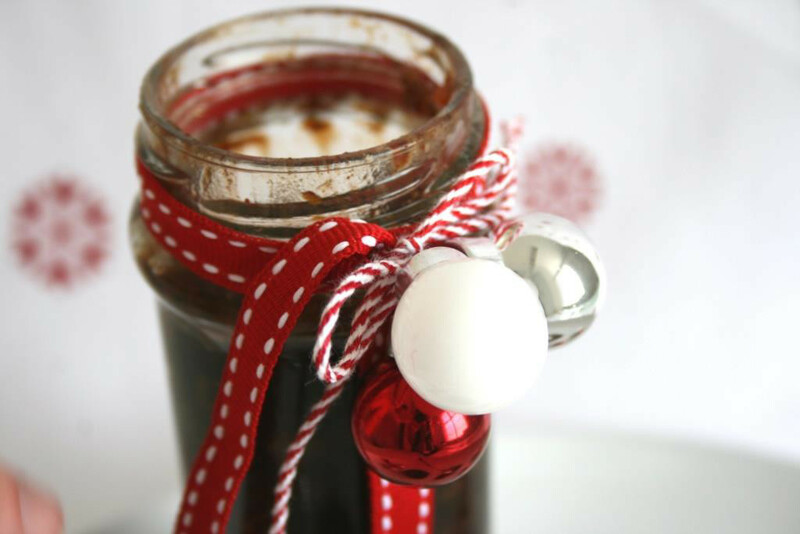 Ta daa – Special foodie gifts made in advance, and brimming with home-made satisfaction. We cant get enough of the Christmas spirit, and it’s only November… To gear up for Christmas this year we are preparing ahead of time for the cooking and baking marathon that is *Christmas*. 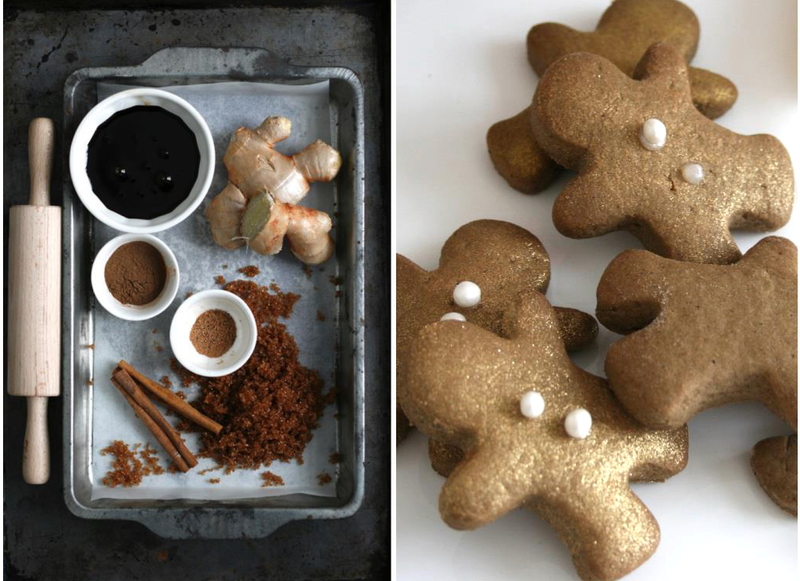 Our recipe for Gingerbread is not too sweet and has a wonderfully warm spiced aroma of ginger, cinnamon and molasses. The dark rich dough that forms is perfect for freezing – to bring out at Christmas time. Simply thaw the dough, roll out and cut out desired shapes. 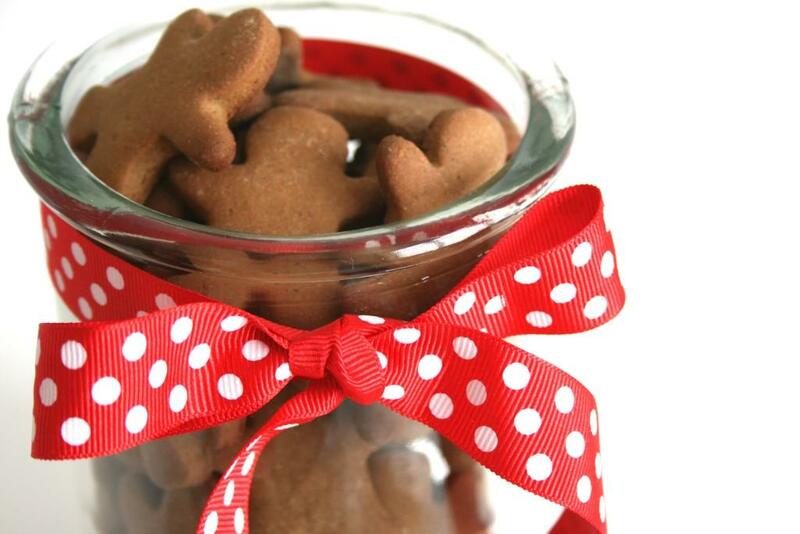 See our Gingerbread Men post for this recipe. Or use the fresh dough mixed with ice cream to create Gingerbread cookie dough ice cream. To make your own wonderful Christmas cakes that will have everyone converted from Christmas cake haters to enthusiasts – use our secret recipe for success. Our secret is to drown the fruity ingredients in booze overnight! Okay well it’s not so secret anymore, but it’s a good tip. Your golden sultanas, raisins, candied citrus peel, glace cherries and currants will plump up and drink in the aromatic brandy while you relax. 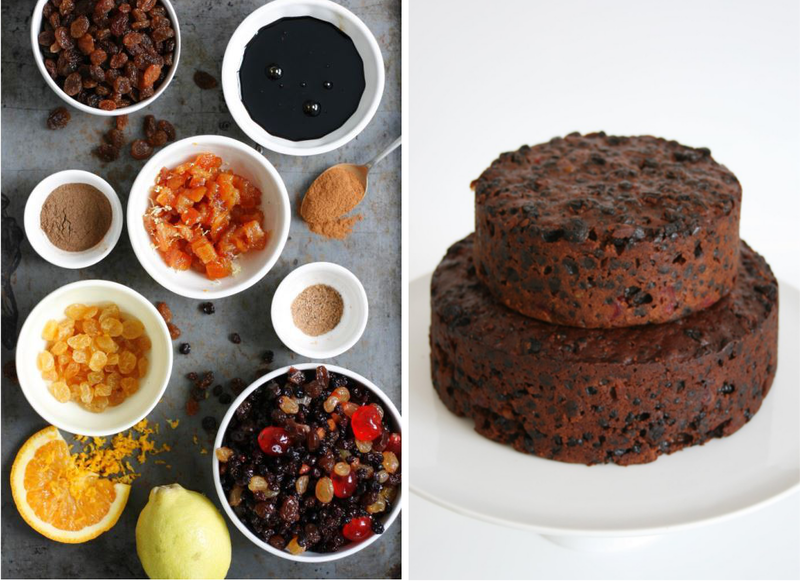 This means that you do not have to “feed” your baked Christmas cake often (meaning add extra brandy to moisten the cake – as the cake often becomes dry after the fruit has absorbed all the liquid in the cake!). This way, when the cake is ceremonially brought out to eat, the cake remains tasty, but not alcoholic – since the only alcohol added has evaporated while baking. See our Christmas Cake post for this recipe. 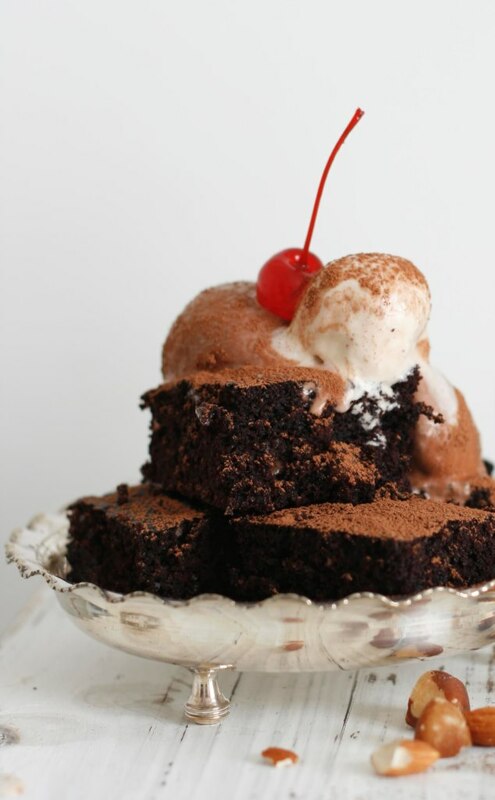 And if this recipe does not receive any converts… “haters gonna hate”. Gingerbread houses are gorgeous, festive, and are made to be admired! For those who do not love gingerbread (i.e. children) we used our sugar cookie recipe to bake mini “Soetkoekie” houses. Soetcookies hold their shape well when baking, this lends itself to shaping the dough with cookie cutters or a knife. We created this little house by cutting dough to fit the following template. Whip the butter and sugar until light and creamy. Add the egg slowly with the vanilla and stir. Sift the remaining ingredients and beat into the mixture till the dough combines and forms a ball around the whisk/dough hook. Place the dough in cling film and store in the fridge for 1 hour, or until firm. Cut a slice of cold dough, place the template over the dough and cut along the template to create the walls x 2, roof x 2 and front/back x 2. Place on a lined/ non-stick baking tray and bake at 180°C for 8-12 minutes or until the edges are golden. Allow to cool on the baking pan. We used royal icing powder mixed with water to create an icing which dries hard in minutes/ you could create your own by whipping egg whites and icing sugar. We decorated our houses using Nicoletta Christmas Tree Confetti, Heart Confetti, Snowflake Wafers, Pearl Drops, and Nicoletta Soft Pearl balls in cream, green and red. We created an edible glue using CMC and water to stick our decorations to the houses. Mince pies are a staple food around Christmas time, and we just love to munch our way through these tempting Yule tide favourites! The mark of a great Christmas mince pie is the filling. Each pie must be filled to the brim with yummy ready-to-use fruit mince. Phyllo pastry (named after the Greek word for leaf “filo”) are paper-thin sheets of unleavened flour dough. Using this light, crisp pastry instead of short-crust pastry is a unique way of making mouth watering mince pies! Cut 15cm squares of phyllo pastry – 2 square sheets per parcel, and brush with melted butter. 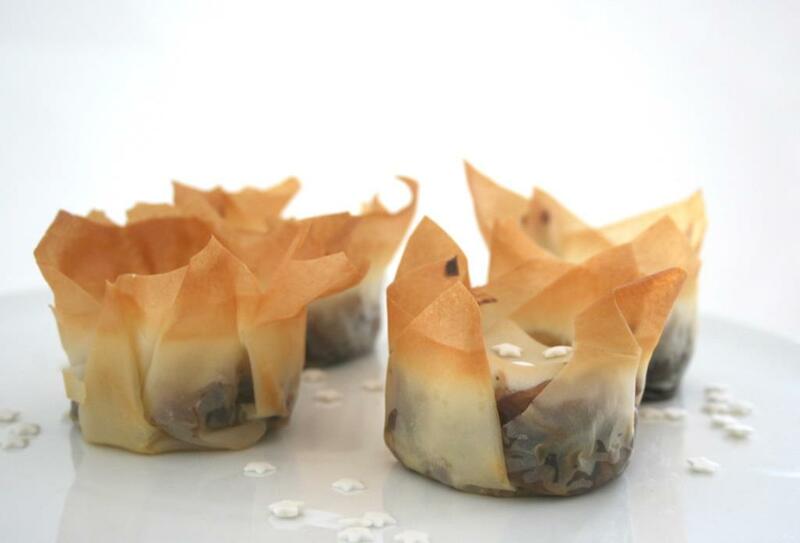 Arrange the phyllo pastry in a muffin pan and fill with a table spoon of fruit mince. Bake at 180°C for approx. 20 minutes or until the pastry is golden. We cut out star decorations using Nicoletta Marzipan and White Fondant; and sprinkled a few white Star Confetti for that extra special Christmas effect. 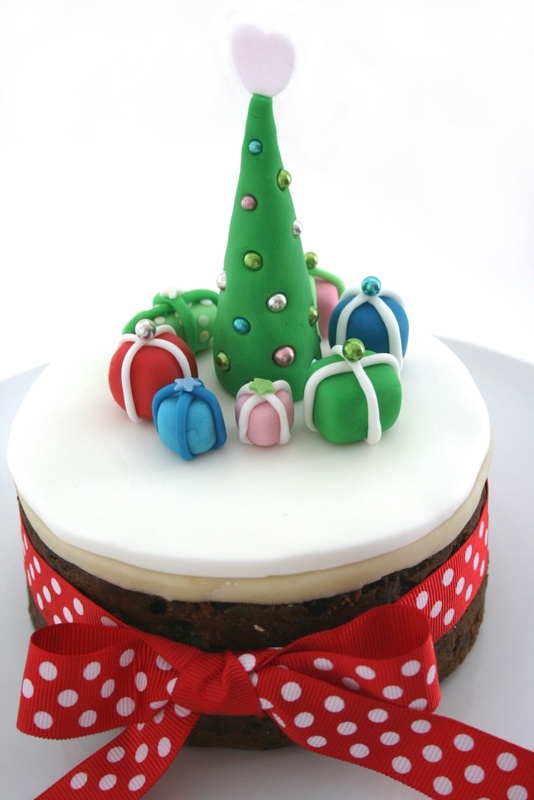 Now is the time to decorate and embellish your rich Christmas cake. Wow all your friends and family with a superbly adorned cake! With fondant and marzipan as the traditional means of decorating, we have outlined a step by step approach to covering a Christmas cake in fondant, as well as making a few easy little figurines to top the cake. 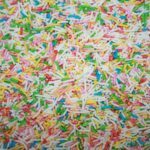 Paint the surface of the marzipan-covered cake with alcohol or water (not too much as you certainly don’t want a “mushy” wet marzipan surface), or use smooth apricot jam. This allows the fondant to stick to the marzipan layer below. 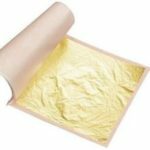 Roll out your fondant on a lightly dusted surface, measure the top and sides of your cake and compare this against the rolled out fondant – just to be sure that the fondant is sufficient to cover the entire cake. Use your rolling pin to lift and gently drape the icing onto the cake. Flatten the top before tucking the icing around the sides. Trim off the excess fondant with a knife. Smooth the top and sides of the cake with a warm hand or by using a cake smoother. For a few more tips on covering cakes with fondant, have a look at our post on Nicoletta’s guide to playing with fondant, where we have calculated how much fondant is needed to cover cakes of different sizes, and also displayed our colour chart for mixing fondants. We made a small fondant Christmas tree decorated with metallic “Bling” balls, and brightly coloured presents to bring our Christmas cake to life. These figurines were so easy to make, all we needed was corn starch (Maizina) for dusting surfaces and hands, and edible glue (make edible glue by mixing a piece of white fondant with a small amount of water). Moulding decorations can be festive fun for the kids, just think of fondant as “edible play-dough”. The fabulous scent of fresh baked Christmas mince pies and fruity Christmas cakes fill our homes during Christmas. This lovely inviting aroma comes from the spiced minced dried fruit, which is all too easy to make, and once you make your own, you will never go back to “store bought”. Fruit mince is customarily made using dried fruit, apple, warm spices and almonds, all soaked in alcohol (ideally brandy). These delightful ingredients are then mixed and placed in a jar which is stored for at least a week to allow the flavours to infuse. But we like to use fruit mince when we need it, and we need it now. By cooking the fruit mince, it allows the flavours to “melt” together to create one rich, delicious, gooey ready-to-eat Christmas mince. Use this addictive mince when creating fruit mince muffins, mix it in with ice-cream, spread on scones, or even use is as a filling for your home made Christmas mince pies. When adding dried fruit to the recipe, feel free to add the fruit in variable proportions – starting with what you like best, or make creative additions like pineapple, dried mango and or cranberries. In a pot, heat the balsamic vinegar and spices till boiling, add in all the ingredients (keep back 30ml of brandy for the end). Simmer for 20 minutes with the lid on, and mix often to avoid the fruit mince sticking to the bottom of your pot. Uncover for the last 10 minutes and let some of the juices reduce, if the mince is too dry, add more water. The mince is done when the dried fruit is plump and juicy, and the apples have gone dark. Take your fruit mince off the stove and stir in the remaining brandy. Sterilise a glass jar and lid by filling it with boiling water and allowing it to stand for a few minutes. Fill the jar with the hot mince and tightly seal the lid. Whether you are a lover of ginger or not, you have to admit that gingerbread men are just adorable, not to mention a quintessential favourite of Father Christmas and his reindeer. Gingerbread cookies store well, and can be made in advance for Christmas. We made mini men (perhaps called “Gingerbread Boys”), to nibble on with our tea. We decorated them by dusting them with Nicoletta gold shimmer. We also added soft pearl balls for those fabled buttons. Cream together the butter and sugar until light and creamy. Add the molasses to the butter mixture and beat well. Add the dry ingredients, alternating with the tea and mix well. Add the vanilla and mix to form a dough. Wrap the dough in cling film and chill for 24 hours to allow the dough to rest and stiffen for rolling. Roll the dough to the desired thickness and cut into gingerbread men. 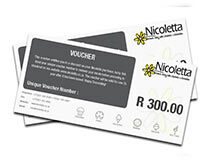 Arrange the shapes on greased cookie sheet or a Nicoletta non-stick baking sheet and bake at 180°C for 8 – 10 minutes. The ginger and spices in this recipe give the cookies a warm and spicy yet mildly sweet taste and aroma. Store in tins, and dust with Nicoletta gold shimmer to decorate. Use Nicoletta soft cream pearls as buttons by sticking them to the “The Boys” using Nicoletta silver writing icing. For those of us who have forgotten the fairy-tale: Run, run, as fast as you can, you can’t catch me, I’m the Gingerbread Man..